Enjoy our Autumn special, the Honey Almond Cinnamon Latte. 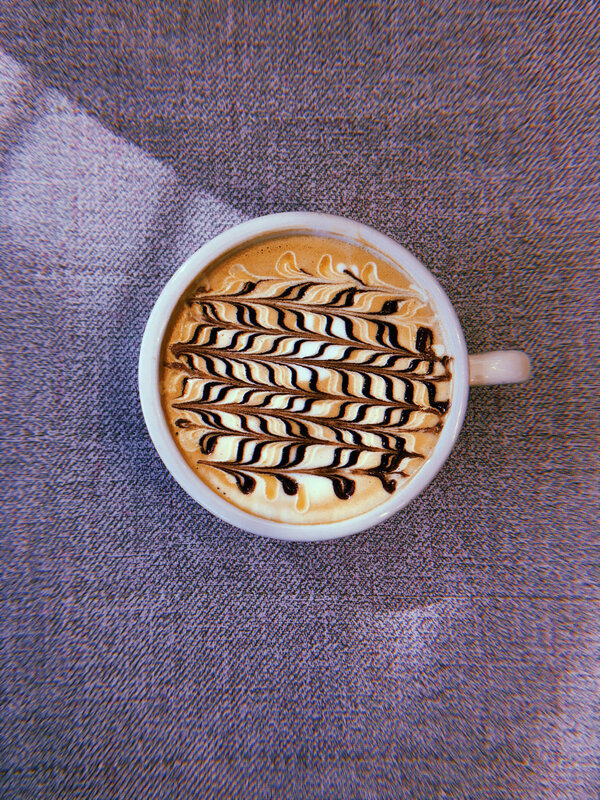 Warm up with a Dark Chocolate Pumpkin Latte! Made in house with warm spices, black tea and sweetened with our very own vanilla syrup. Slow-brewed overnight and served from a nitrogen tap, this coffee is creamy and smooth. Add a little fun to your latte with our house-made syrups: Vanilla, Caramel, Mocha, Almond, Rosemary. Always serving alternative milk - Almond, Coconut, & now OATMILK! The pinwheel represents progress, movement forward, and growth. The students of Denver Montessori High School and Compass High School in Golden led the development of this coffee shop. From location to store name, the students created the business plan for the store. 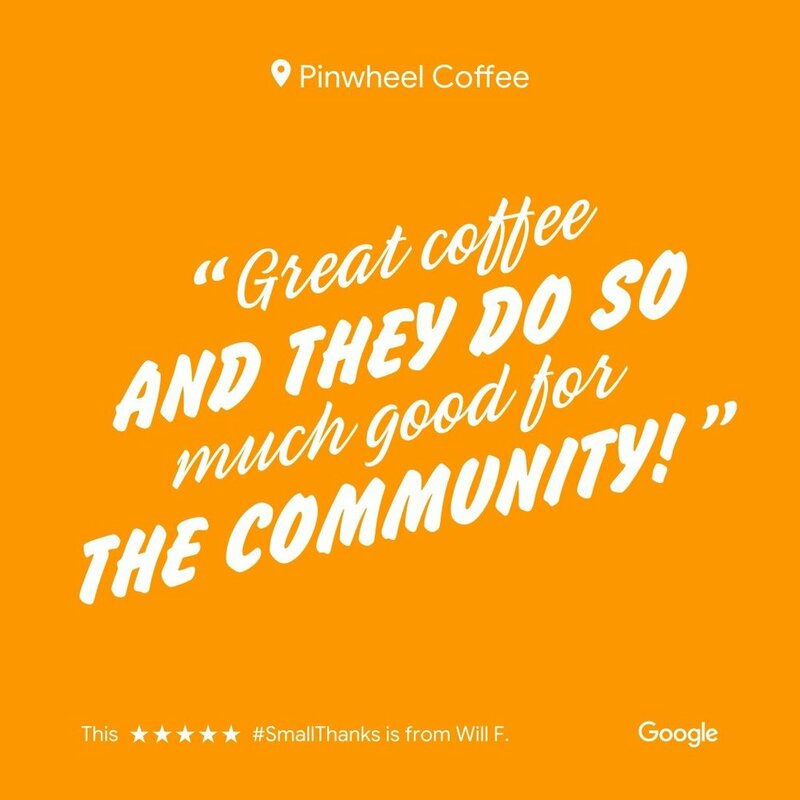 Pinwheel continues to be built into their ongoing curriculum in the areas of business development, marketing, chemistry, accounting, and customer service. Real world enterprises are essential to Montessori education. Students from Embark Education, a private, tuition free, micro-school for 7th and 8th graders have curriculum embedded inside of our daily shop operations as well. Stay current with our news, menus, and happenings. 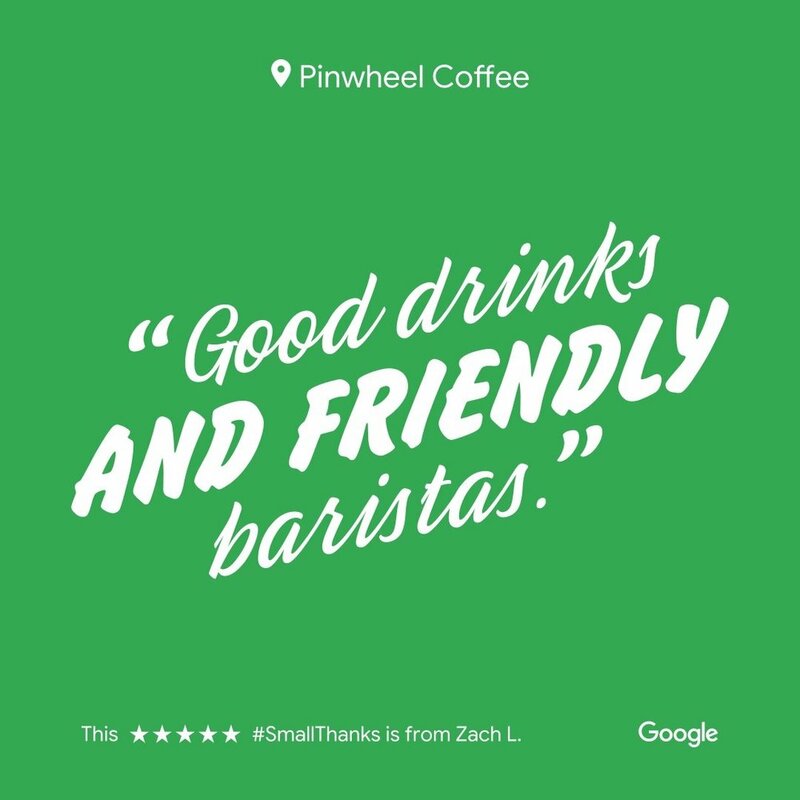 Or just enjoy our beautiful photos posted regularly by our talented baristas! Located at the corner of Navajo and 37th Avenue in historic LoHi.